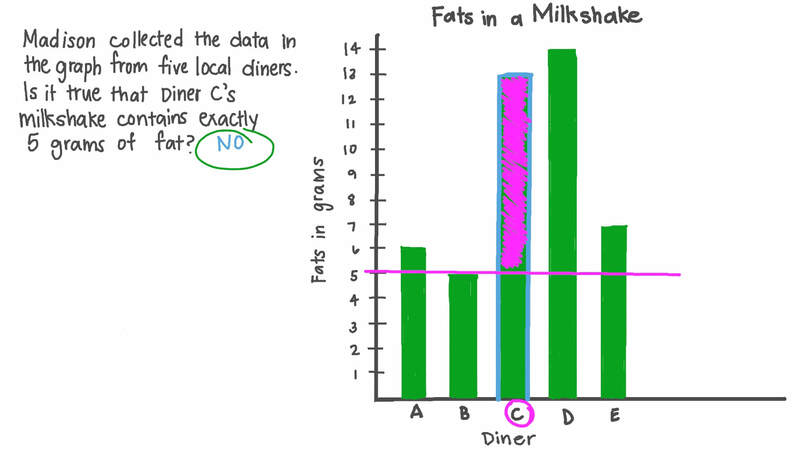 In this lesson, we will learn how to display and analyze bar graphs to answer questions. Mariam collected the data in the graph from five local diners. Is it true that Diner C’s milkshake contains exactly 5 grams of fat? The graph shows the number of students who joined various activity clubs in a school. Complete the given table. Using the information in the graph, complete the given table by filling in the population in thousands for each year. The bar chart shows the number of students who play different sports at a school. Is diving or football more popular? The graph shows the number of students who study various subjects. How many students study English? 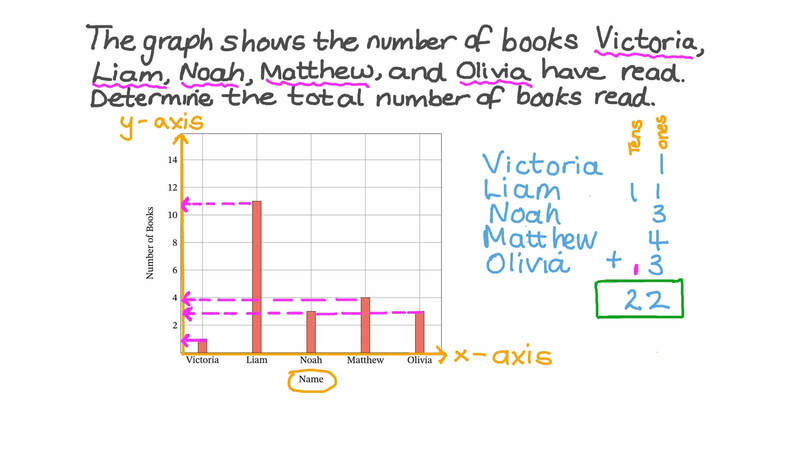 The graph shows the number of boys and girls in two different classes. What is the largest number of boys in a class? The bar chart shows the number of students who play different sports at a school. What is the least popular sport? The graph shows the number of births at a hospital from 2003 to 2007. How many births were there in 2003? The graph shows a student’s journey time to school on each day of one week. On which day did it take 20 minutes? The bar graph shows the number of pens, pencils, rulers and erasers sold by a store in one week, but the labels are missing. The store sold more pens than any other item, erasers were least popular, and more pencils were sold than rulers. How many rulers did they sell? The graph shows the donations of five people to an orphanage. Find the difference between the greatest and the smallest donation. The graph shows the time it takes students in a school to travel to school. How many students take more than 15 minutes? A shop sells three types of chocolate bars. The graph shows how many chocolate bars are on the shelf. How many chocolate bars are on the shelf? Every student has a favourite subject. The bar graph shows the favourite subjects of students at a school. What is the total number of students at the school? 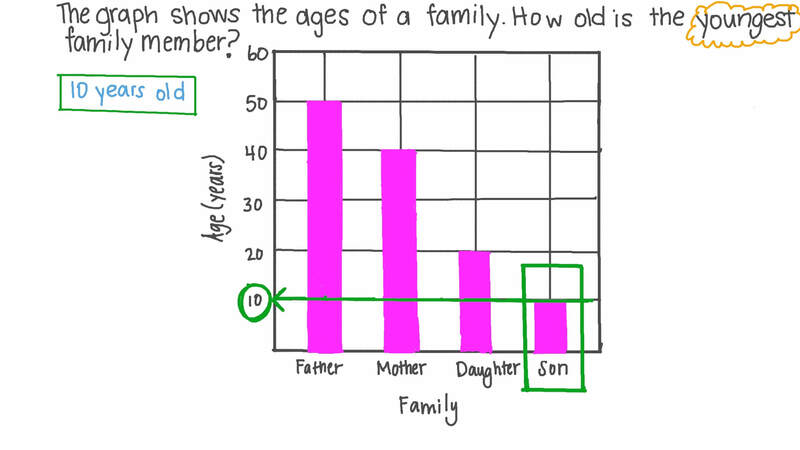 The graph shows the ages of a family. How old is the youngest family member? The graph shows the donations of five people to an orphanage. What was the highest donation?